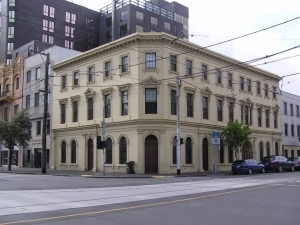 The proposed 11 storey expansion of St Vincent’s Private Hospital will involve demolition and part-demolition of heritage buildings, as well as undermining existing heritage protections to excavate and build over properties of State significance on the Victorian Heritage Register. It will affect unique historical sites in Victoria Parade and Brunswick Street, Fitzroy. Yarra Council determined to issue a Notice of Decision to Grant a Permit at its Internal Development Approvals Committee (IDAC) Meeting on 12 July 2017, subject to conditions. The permit applicant, St Vincent’s Healthcare Limited, appealed the conditions. Concerned residents supported the Council conditions and were parties to the VCAT proceedings to fight for protection of heritage sites that will be adversely affected by this proposed development. These lengthy proceedings concluded on Friday, 20 April 2018. See update below. 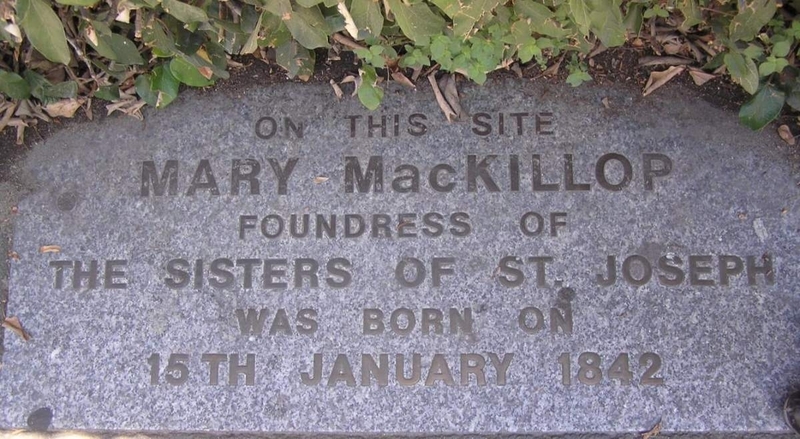 The birth site of St Mary of the Cross MacKillop is located in the grounds of 7 Brunswick Street Fitzroy. Mary McKillop, a prominent figure in Australian education, was canonised in 2010 and is Australia’s first saint. This allotment is proposed to be built over. 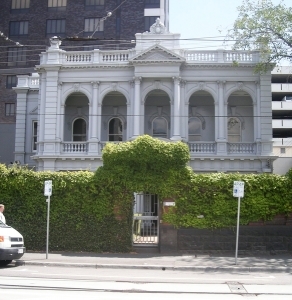 Dodgshun House (formerly Edensor), 7 Brunswick Street, is of great historical and social significance. The house, with its fence and gatehouse, is one of the few large residences surviving in the area, and is on the Victorian Heritage Register. Parts of this property will have a totally inappropriate high-rise structure intruding into it. The striking three storey edifice, Easthill House, 71-73 Victoria Parade, on the summit of the Eastern Hill, was the first block of flats to be built in Melbourne’s first suburb, Fitzroy. Its 1930 Spanish Mission facade makes an important contribution to the heritage streetscape. Yarra Council is seeking the retention of the facade, including the shops at street level and at least the front rooms behind the façade at all levels. The former Eastern Hill Hotel, 77 Victoria Parade, built in 1854 as the Belvidere Hotel, is a heritage building. A rare remaining Gold Rush era hotel, it was the headquarters of the Eight Hour Day Movement in 1856 where stone-masons and other building trades met to organise and then celebrate their successful campaign to gain this major landmark in Australia’s history, the eight-hour working day. It is proposed to partly demolish this building. Next to the former Eastern Hill Hotel, the premises at 5 Brunswick Street were built in 1859. The Victorian Aboriginal Child Care Agency (formerly Victorian Aboriginal Child Placement Agency) was established in 1976 at this location. 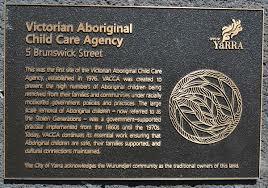 It was the first Aboriginal child care agency in Australia. It is proposed to demolish the site. VCAT found against the Council and the respondents. Its decision stated in part, “In summary, we find that reducing the hospital’s floor space to the extent imposed by the council does not implement State planning policy for health services and is not required to protect local heritage assets. The VCAT decision is available online. 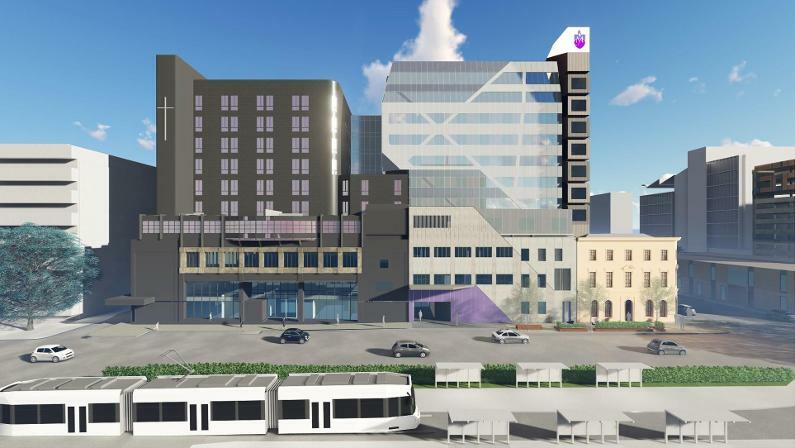 Two permit applications have now been made to Heritage Victoria to undertake development of the two heritage buildings and construction of the 11-storey St Vincent’s Private Hospital building. 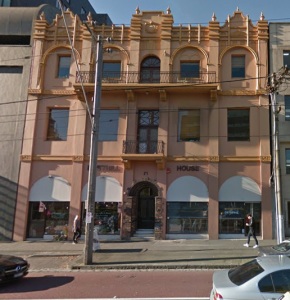 These are Dodgshun House, 9 Brunswick Street, and the former Eastern Hill Hotel, 77 Victoria Parade, Fitzroy. Submissions have now closed, and a decision is pending.